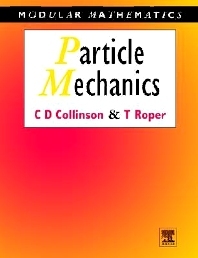 This text provides an invaluable introduction to mechanicsm confining attention to the motion of a particle. It begins with a full discussion of the foundations of the subject within the context of mathematical modelling before covering more advanced topics including the theory of planetary orbits and the use of rotating frames of reference. Truly introductory , the style adoped is perfect for those unfamiliar with the subject and , as emphasis is placed on understanding, readers who have already studied maechanics will also find a new insight into a fundamental topic. First year undergraduate mathematicians, physicists and other students taking a first course in mechanics. The role of modelling Straight line motion Simple harmonic motion Motion in three dimensions The Newtonian model of gravitation Central forces Motion of a system of particles Motion of a particle relative to a rotating frame Looking ahead * Index.